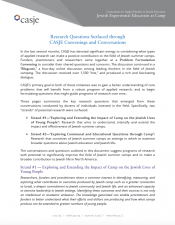 CASJE offers a variety of ways for senior and emerging researchers in Jewish education to explore questions and issues of interest to them and to the field. 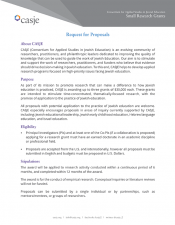 CASJE’s Signature Process involves identifying, developing, and implementing programs of applied research that can inform practice, policy, and philanthropy, especially in underexplored areas of Jewish education. 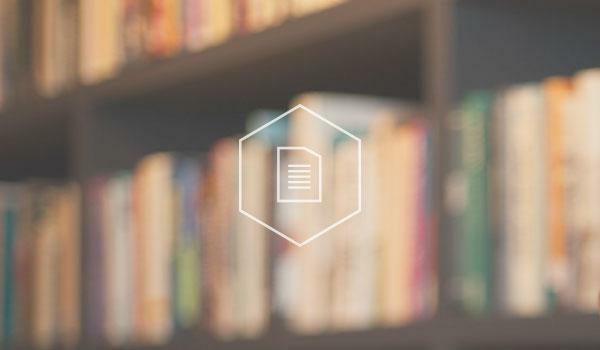 Researchers play an integral role in each step of the signature process: from collaborating to identify research questions, carefully formulating Requests for Proposals, and, when appropriate, submitting proposals for research. 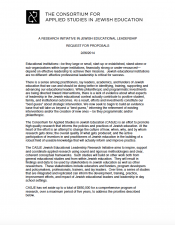 A core value of CASJE is building capacity in the field of Jewish education research and cultivating the next generation of scholars. 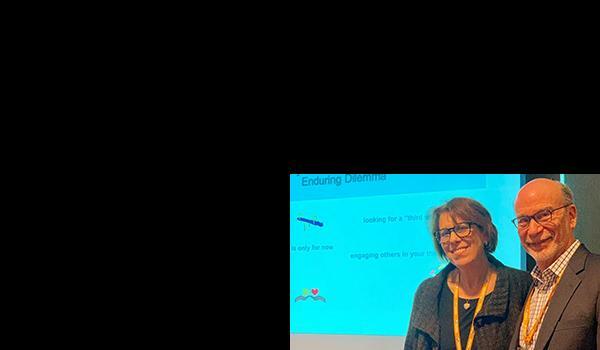 CASJE provides doctoral students and emerging scholars with opportunities for research apprenticeships and mentoring, to support the development of a healthy pipeline of researchers who will continue to contribute to the field for years to come. 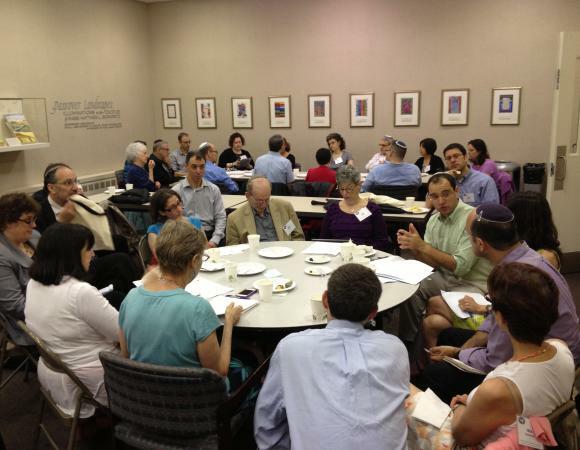 Annual mentoring seminars and collaborative research workshops in cooperation with the Network for Research in Jewish Education (NRJE) and the Jack, Joseph and Morton Mandel Center for Studies in Jewish Education at Brandeis University. 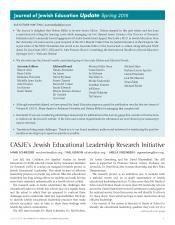 The CASJE community also includes general education researchers who are interested in Jewish education. 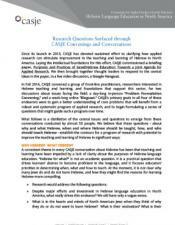 Since 2012, CASJE has hosted a gathering at the American Educational Research Association's Annual Meeting. 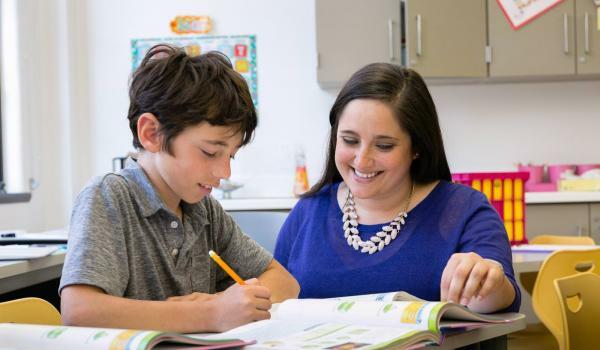 This reception is an opportunity for researchers in general education with an interest in Jewish education to gather, learn about CASJE, and join our community. 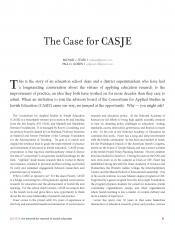 CASJE is a bridge connecting two of my passions: applied social science research for education and the advancement of Jewish life and learning.